Craig Vanderhorst was Covington's first two-time state placer. Randy Kimmel was the first Covington wrestler to qualify for state - and he did it twice. Mike Stephan was a two-time state qualifier for the Buccs. 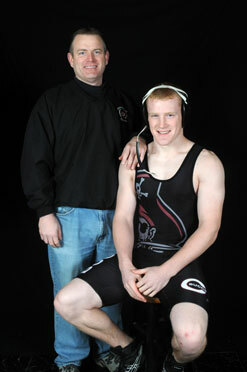 Brian Olson Sr. and Brian Olson Jr. are the first father-son combination to qualify for the state meet. 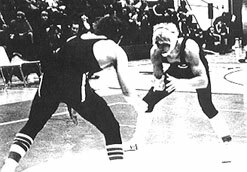 The first Covington wrestling team was started in 1973 under the guidance of coaches Larry Tisdale, Dean Pond and Rex Thompson. Nineteen boys went out that year and the team finished with a record of 2 wins and 1 loss. In 1978, under Coach Jack Schwamberger, Covington sent its first wrestler to the State Wrestling Tournament as Randy Kimmel defeated a Mechanicsburg wrestler to win the 155 lb. District Championship. In his first match at State, Kimmel lost a 6-2 decision to a wrestler from Fremont St. Joseph, but a tradition was started, and since then, there have been only two seasons where Covington has not sent at least one wrestler to the State Tournament. In 1983, under Coach Tom Barbee, Covington won its first District Team Championship as seven wrestlers placed 4th or better at the tournament. Two of those wrestlers, Craig Vanderhorst and Jason Kingrey qualified for State and became the first Covington wrestlers to place at the State Tournament. Vanderhorst placed 3rd at 138 lbs. while Kingrey placed 4th at 167 lbs. The next year, in 1984, Covington had its most successful season with an undefeated dual record of 16-0-1 and overall record of 59-6-1. This year the Buccs won their first league championship, edging the favorite, Versailles, to win the Southwestern Rivers Conference Tournament. They also won another District Team Championship, although between 1984 and 1987, ‘Districts’ was equivalent to today’s Sectional Tournament while ‘Regionals’ was equivalent to today’s District tournament. Craig Vanderhorst again placed third at State, this time at 145 lbs. His experience shows how luck and chance come into play at the State Tournament. He seemed to be in control of his first match, leading in the third period with around 15 seconds to go when his opponent from Thompson Ledgemont suddenly scored a reversal and back points to win the match. Vanderhorst won the remainder of his matches to place third while the Thompson Ledgemont wrestler advanced to the finals to be pinned by State Champion Erik Thomas of Gahanna Columbus Academy, a wrestler who Vanderhorst defeated 10-2 the week before in the Regional Finals. In 1985, Rodney Kimmel made a run into the State Tournament. Rodney joined his brother (Randy in '78) as the first brothers from Covington to wrestle in State. Covington had another outstanding season in 1986, winning both the District and Regional Championships and sending a record 4 wrestlers (Keith Musgrave, Mike Hagan, Scott Taylor and Brian Olsen) to the State Tournament. 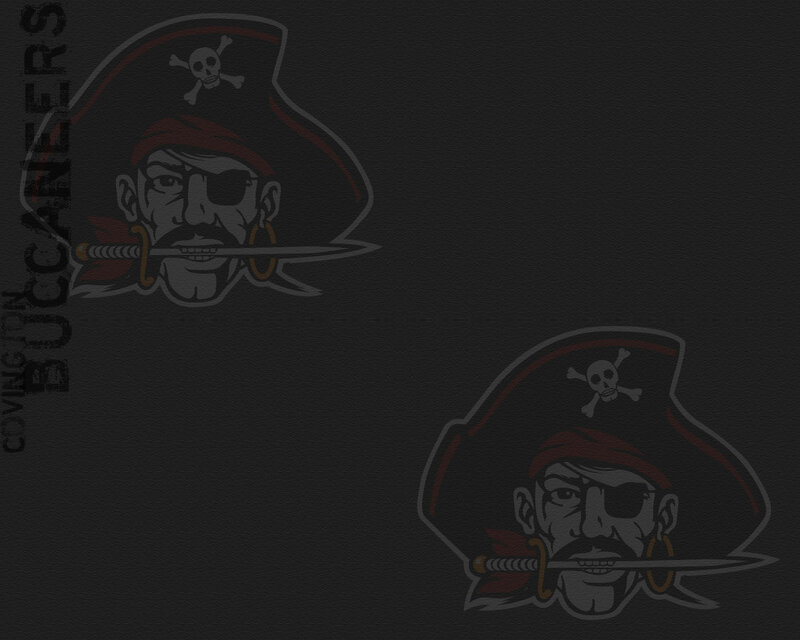 Since 1984, however, the Buccs have not had a wrestler place at State until Logan Brown in 2005, although a few, including Scott Taylor (1987), Brian Olsen (1987), Eric Vanderhorst (1992), Noah Turner (1997) and Mike Stephan (2002) were only a point or two away. The Buccs success of sending wrestlers to the State continued into the new mulinium as Steve Bradorf qualified in 2000 and 2001. Brandon Owens was also a State Qualifier in 2000 while Mike Stephan earned a trip in 2002. Stephan won two matches at State and finished with a 47-3 record that season. 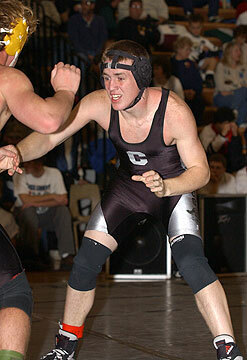 Dusty Hess represented the Buccs at the state meet in 2003 in only his second year of wrestling. Hess dropped both of his matches at state, one to the third place finisher. The tradition continued in 2004 as Logan Brown made it to state at 189 lbs. The sophomore wrestler fell to the eventual state runner-up 9-2 and finished with a 49-7 record. 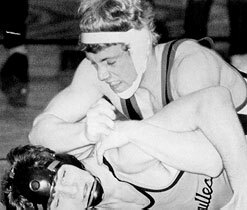 Brown repeated as a state qualifier in 2005 and became the first state placer since 1984 as he captured third in the 189 lb. weight class. Brown breezed through his first two matches at state with a 10-1 win over Jeremy Stevens of Ashland Crestview and then a 12-5 win over Marion Pleasant's Alex Ballenger in the quarterfinals. This set up a showdown with the 2004 state champion at 171 lbs., Spencer Dye from Sandusky St. Mary Central Catholic. Brown took Dye to the limit before falling 4-1 as Dye went on to capture his second straight title. Logan then won his final two matches, 3-2 over Eric Haubert of Sycamore Mohawk and 6-4 over Josh Fox of Catalia Margaretta to capture third at state. Brown finished the season with a then school record 50-1 record. Logan Brown then became the only wrestler in history to go to state for a third time in 2006. That year he became the first Covington wrestler to win a state title with a 9-2 win over Jeremy Stevens of Ashland Crestview in the finals. Logan also finished unbeaten at 52-0 under the guidance of coach Tom Barbee. Along the way to a state title brown defeated Cris Gault, And. Pymatuning Valley by pin in 2:47; Brock Kirian of Sycamore Mohawk by a 5-2 decision; Brad Rice of West Jefferson by a 13-6 decision and Jeremy Stevens of Ashland Crestview by a 9-2 decision. No wrestler in the 2006 state tournament scored an offensive point on Logan Brown. After a one-year hiatus from the state tournament in 2007, the Buccaneers returned to the big show with freshman Andrew DeHart. In an historic 2008 tournament, DeHart became the youngest Covington wrestler to qualify and place at state as he took sixth at 130 pounds. DeHart followed that performance by becoming just the third two-time state placer with a fourth place finish at 145 pounds as a sophomore in 2009. 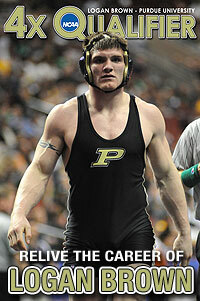 He the became Covington's first three-time state placer in 2010 by taking runner-up honors at 145 pounds. He followed that up with a third place finish at 145 pounds in 2011 to become the school's first four-time state placer. That same year sophomore Kyler Deeter became Covington's fifth state placer by taking fourth at 130 pounds. History was made once again in 2012 as Brian Olson Jr. joined his father as the first father-son combination in school history to become state qualifiers. Brian did his father proud by taking sixth place at 182 pounds, becoming the sixth state placer in school history. Kyler Deeter joined Olson at state at 138 pounds, qualifying for the second year in a row after placing fourth in 2011. The Buccaneer tradition of sending wrestlers to the state tournament continued in 2013 as a school-record seven kids made the trip - three as state qualifiers and four as state alternates. A.J. Ouellette placed 4th at 182 pounds, while Jake Sowers (152) and Daniel Jennings (145) earned qualifying births. Brian Olson, Jr., Kyler Deeter, Ben Miller and Ryan Ford went as state alternates. 2014 was a historic season as the Bucccaneers sent five wrestlers to state, along with one state alternate. Four wrestlers placed with Jarred Ganger becoming the second Covington wrestler to win a state title. A.J. Ouellette became a two-time state placer by taking fifth, while Ryan Ford took 3rd at 132 pounds and Ben Miller placed 6th at 170 pounds. Daniel Jennings became a two-time state qualifier and Connor Ryan was the Buccaneer alternate. As a team the Buccs placed fifth at state, was runner-up in the district meet, runner-up in district team duals and sectional champions. 2015 was yet another banner year for Covington wrestling as the Buccs sent four wrestlers to state and three came home with medals, including a two-time state champion in Jarred Ganger. The Buccaneer senior dominated all season, finishing 52-3 and earning his third state championship (one as a sophomore at Troy Christian). Ryan Ford and Ben Miller became two-time state placers with Ford finishing 3rd at 138 pounds and Miller taking 6th at 182 pounds. Sophomore Lance Miller came up short of placing, but set the tone for future years of success. The success of the Covington wrestling program continued in 2016 as Ryan Ford became just the second Buccaneer wrestler to place at state three times - joining Andrew Dehart, who was a four-time state placer. Ford placed fourth at 138 pounds and established a new career mark for wins with 201. Ford was joined at state by senior Brandon Magee, who was inserted into the tournament as an alternate due to another wrestler in the 182 pound bracket failing skin check at weigh-ins. Magee proved he belonged by winning a match at state via pin. In 2017 Lance Miller was the lone Buccaneer to qualify for the state meet after winning sectional and district championships at 160 pounds. He followed that up by finishing runner-up at state, becoming the fourth Buccaneer wrestler to reach the state finals. 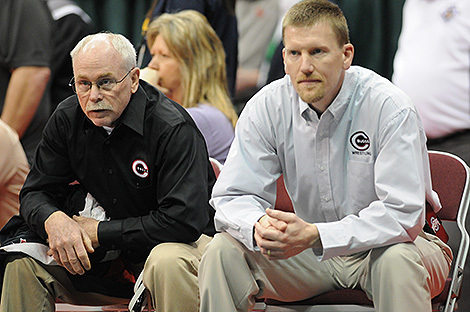 2017 was also the final year of the legendary coaching career of Tom Barbee, a man who built the Covington wrestling program from the ground up. He concluded his career with 2 state champions, 4 state finalists, 11 state placers, 30 state qualifiers and 443 career dual wins, which ranked third in the state of Ohio at the time. Eric Vanderhorst, who assisted Barbee for 19 years, took over in 2018 and the program continued to thrive as it qualified four wrestlers to the state meet - Keringten Martin (152), Gage Kerrigan (195, Kellan Anderson (106) and Cael Vanderhorst (113). Anderson placed 6th and Vanderhorst placed 8th to become the 12th and 13th state placers and joined Andrew Dehart as the only freshmen wrestlers to place at state. Anderson (106), Vanderhorst (113) and Martin (152) all made return trips to state in 2019, while junior Austin Flick was a state alternate at 145 pounds. Anderson (50-2) came up just short of placing for the second year in a row, but Vanderhorst and Martin both earned state medals as Martin placed 3rd at 152 pounds and Vanderhorst took 4th at 113 pounds. Over the years, Covington Wrestling has had its share of glorious triumphs and heartbreaking defeats. With the Covington Youth Wrestling Program, kids between ages 5 and 12 are now gaining valuable experience before entering Jr. High and High School. This, along with hard work and dedication from the wrestlers, and support from the fans, will provide Covington Wrestling with a promising future. He had a philosophy and he stuck to it for 28 years as the head wrestling coach at Covington High School and 42 years as an educator and Tom Barbee retired recently on the biggest stage thanks to a great effort by one of his proteges - Lance Miller. 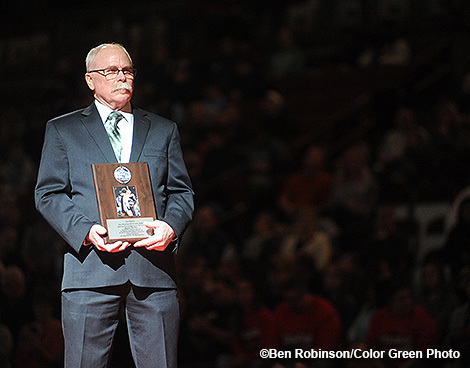 Former Buccaneer wrestling coach Tom Barbee was inducted into the Ohio High School Wrestling Coaches Hall of Fame on Saturday at the state tournament. 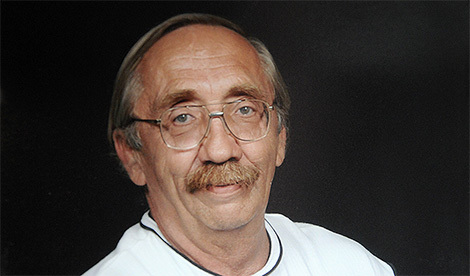 Tom Kimmel was influential in helping build the Covington wrestling program in its infancy. Here's a tribute to Tom after his passing in March of 2017. 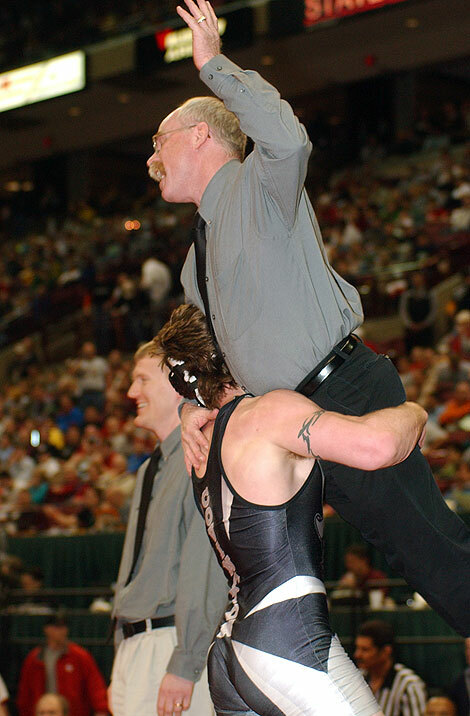 Logan Brown hoists coach Tom Barbee after he captured Covington's first state title in wrestling in 2006.